Three QED players made the cut at this weeks Web.com Utah Open. Making this more improbable was the fact that Clay Ogden and Zahkai Brown had to qualify for the event earlier in the week. After Thursday's opening round of 73, Zahkai knew he needed a great round in order make weekend play. With a morning tee time, he went quickly to work and posted a 32 on the front then kept the momentum going with 5 birdies on the back side for a final round of 63. Clay Ogden completed qualifying for this weeks Web.com event in his home state of Utah. Qualifying for the event is never easy with over 150 pros vying for just 12 spots. After shooting a 65, Clay went on to make a birdie on the 2nd playoff hole to ultimately secure his place. This May, players across the country have been competing in Local US Open Qualifying tournaments. In 2013, there were 111 Local Qualifying tournaments where top finishers could earn a spot in a 36 hole Sectional event. With over 9,000 entries competing for just a few spots, QED Style would like to congratulate Nick Killpack and Mark Baker for reaching the Sectionals. QED Team Member Nick Killpack posted a final round 63 to win the 17th annual Parker Open. The Parker Open is a three day tournament held at the Emerald Canyon Golf Course in Parker Arizona. Nick played near flawless golf on Sunday with his only mistake being made prior to the final round when he accidentally spilled red Gatorade on his white QED shirt. 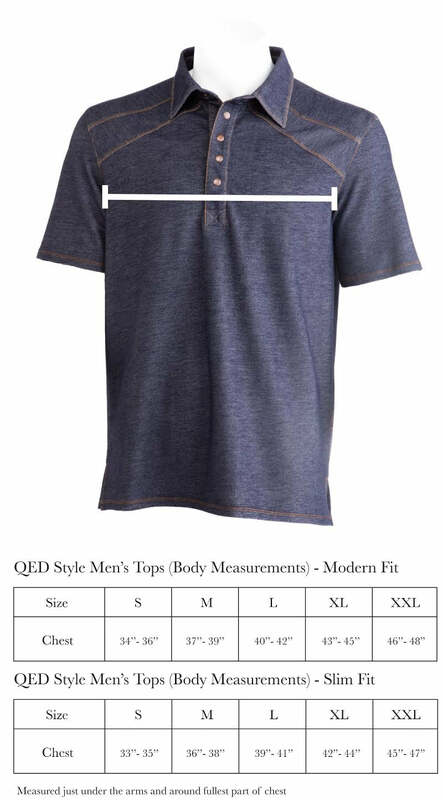 The good news is that he was able to find a clean shirt but unfortunately his winning photograph does not include his QED Team Polo. Not to worry, the QED Logan Polo looks good as new after a quick wash but just in case we have sent Nick a few more backup shirts. QED is proud to announce the addition of Dusty Fielding to the QED Style team. Dusty earned his full 2013 Web.com Tour card by firing a final round 68 at the 2013 Columbia Championship where he finished tied for 7th. For Dusty, reaching the Web.com tour has been a culmination of hard work and dedication. Unrecruited out of high school, Dusty walked on to the Dixie State College team. Making the most of the opportunity, Fielding earned All-American honors in his sophomore season. Fielding would later caddie for Champions Tour player Jay Don Blake. Asked about that experience, Dusty noted "It gave me a good experience, and let me play with a lot more confidence." Heading into the heart of the season, Dusty is optimistic about the tour. "I feel like my game is coming around and my finish in Bogota has given me a lot of confidence"
Being a native of Utah, Dusty is a perfect addition to Salt Lake City based QED Style. "I have known Dusty for a long time so I was thrilled to see him make the Web.com Tour" said QED Founder Mike McRae. "Dusty’s game and life’s perspective is a great personification of the QED Brand"
The Web.com Tour plays a full tournament schedule and is the official pathway to the PGA Tour. Follow all of the action on the Web.com website.